Steve Hargadon: GlobalEd.TV February Webinar - "How Do We Define Competence in Global Education?" GlobalEd.TV February Webinar - "How Do We Define Competence in Global Education?" "How Do We Define Competence in Global Education?" This is a free event, but you must register to attend and will be sent the event link. Sign up HERE. Preparing students for participation in a global society is essential in the 21st century. What knowledge, attitudes and skills are necessary for navigating our cultural similarities and differences and how can educators promote competence? In Part I of this series, participants will explore Global and Cultural Competence, along with models for implementation. Lisa Petro is a Curriculum Development Consultant and the Co-founder of Know My World, a Global Education Resource organization. She has an Masters of Professional Studies in Humanistic and Multicultural Education from the State University of New York at New Paltz. 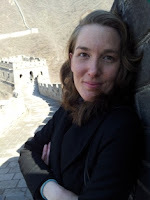 Lisa has designed curriculum and teacher training workshops in the United States, Japan, Nepal, China, Mexico, Albania, Palestine and Taiwan with an emphasis on social/emotional learning and cultural competence. She has lived and taught in rural Japan as part of programming for the Ministry of Education and participated as the Curriculum Development Director for Everest of Apples (in collaboration with NEST NGO), which promotes quality education in developing countries. Lisa has also presented dynamic cross-cultural workshops at the East Asia Regional Conference for Overseas Schools in Bangkok, Thailand, EARCOS in Shanghai, China and Congreso de Preparatoria, Preparatorias del Tecnólogico de Monterrey, ITESM in Guadalajara, Mexico, the State University of New York Multicultural Education Conference, and the SUNY Collaborative Online Intercultural Learning conference in New York, NY. Lisa currently lives in New York and is a stand for creating connectivity and transformation through social, emotional and cultural learning. Ed. M, Maria Jose Pineda is Academic Director at the High School Vice-Rectorate at Tecnológico de Monterrey, with over 27 years experience working in secondary education. She was the High School Principal at Campus Eugenio Garza Sada, Tecnológico de Monterrey from 2001 to 2013. 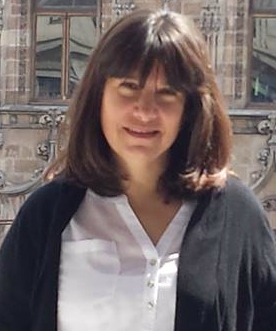 Maria Jose has coordinated and participated in different Institutional Projects at Tecnológico de Monterrey, related with the Design and Implementation of High School Curricula at a national level, as well as projects in Educational Innovation at Prepa Tec. Christi Hunter is the CEO of Global Leadership Excellence, LLC and the President of Global Competence Consulting, LLC where she works to assess, prepare, and enhance the global workforce of tomorrow. She is a primary author of the Global Competence Aptitude Assessment (GCAA)®, which is a research and diagnostic tool that measures the global readiness of students and working professionals around the world, and then determines areas that would benefit from additional development. GlobalEd TV is a free inclusive and comprehensive webinar series which spotlights theories and best practices related to multiculturalism in schools and organizations all over the world. This 5 part series is designed to inform educators, students and parents about the role of cultural and global competence in education. 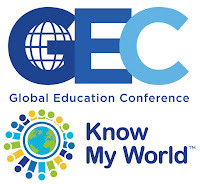 Hosted twice a month by the Global Education Conference Network, the Learning Revolution, and Know My World, participants will be included in global conversations with featured experts , practitioners and organizations in the field, with the goal of exploring the impact of global education. Through themed sessions, interviews, dynamic examples, Q&A, and practical exercises, each one-hour segment will provide participants with the knowledge and skills to bring global competence to their schools and communities.